karres+brands together with Max Dudler and Antwerp-based Areal Architecten, are amongst five teams of architectural firms that were selected from 35 submitted applications. The selected finalists will present an urban design for the Friendship site in May. In mid-July, the jury, including city architect Christian Rapp and professor of urban design Maarten van Acker, will announce the winner of the architectural competition. 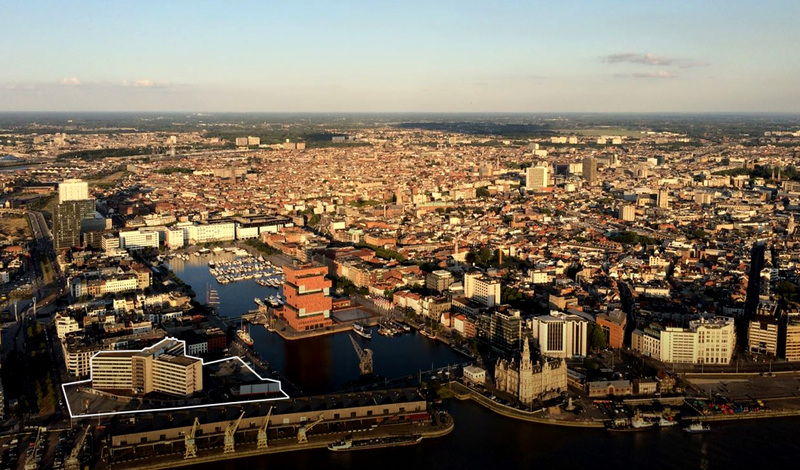 Located where Antwerp meets the docks and the river Schelde, the site is a prime spot in the city. CORES Development in partnership with AG VESPA plan to replace the current Friendship building with a high quality living environment, with views across the water and MAS. The perfect gateway between het Eilandje and Antwerp.